class="post-template-default single single-post postid-161955 single-format-standard group-blog masthead-fixed full-width singular wpb-js-composer js-comp-ver-5.7 vc_responsive"
RRN/Tour participants in the U.S. National Experimental Forest. 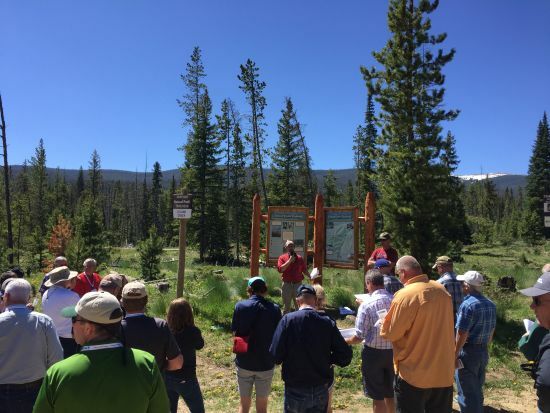 COLORADO – The 45th annual Water and Natural Resources Tour concluded Thursday. 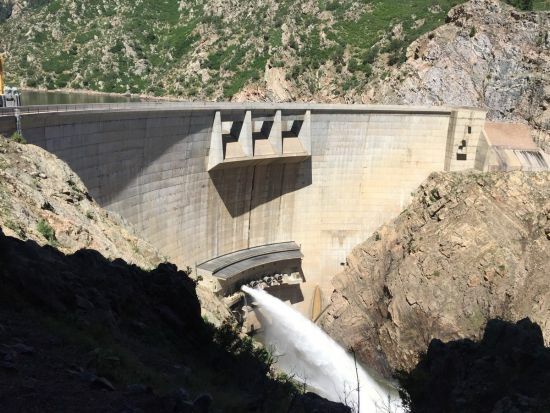 The annual tour hosted by the University of Nebraska’s Nebraska Water Center (NWC) and The Central Nebraska Public Power and Irrigation District (CNPPID), visited Colorado this year. The tour began on Tuesday and focused on the Front Range area before heading into the interior of the Rocky Mountains for the remaining two days. Day 1: Stops included the Kassler Center in Littleton, where Denver Water operates and is headquartered. Denver Water has the challenge everyday of supplying water to 1.4 million people. Youth Education Program Manager Matthew Bond said it’s a challenge because 80% of people that live in Colorado live on the east side of the Continental Divide while 80% of the water in CO is on the west side of the divide. RRN/Strontia Springs Dam near Littleton. Contains water from the South Platte River. Controlled by Denver Water. The stop also included a trip to the Strontia Springs Reservoir where water from the South Platte River is gathered and stored. 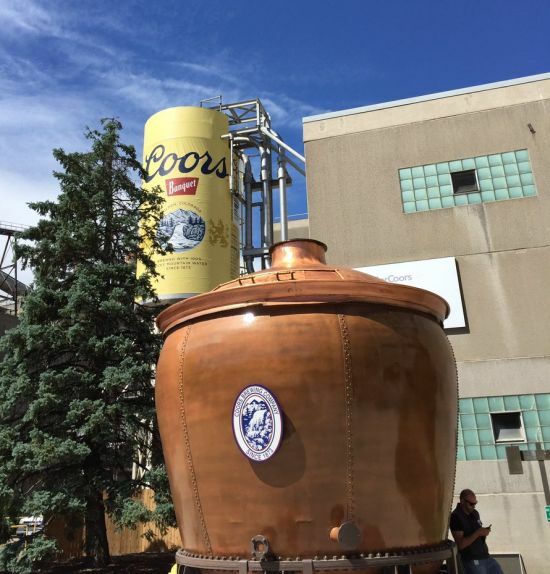 The second stop of day one included a visit to the Coors Brewery in Golden. RRN/Coors Brewery Tour in Golden. 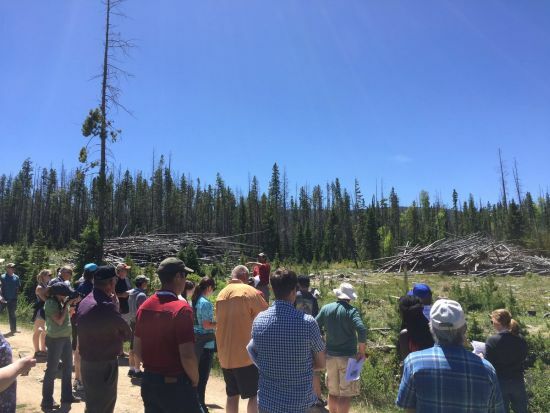 Day 2: A trip to U.S. National Experimental Forest in Fraser kicked off the second day. In operation since 1937, the 32 square mile forest studies the relationship between forest management and water yield in the subalpine zone. RRN/Tour looking at dead trees from the beetle outbreak in the experimental forest near Fraser. Pine Beetle infestation was evident throughout the forest as dead trees littered the mountain side. Rhoades said the beetle outbreak started in 2002 and lasted roughly 10 years. 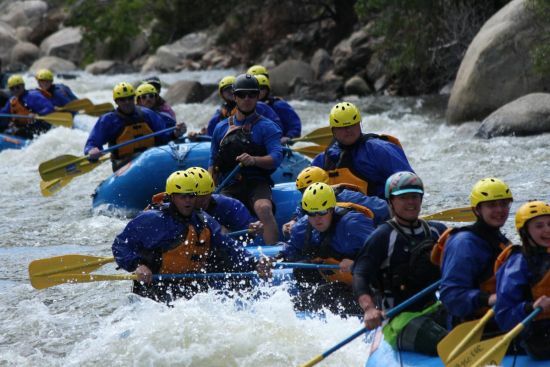 The tour wrapped up day two with a whitewater rafting trip down Clear Creek in Idaho Springs. RRN/Rafting in Clear Creek in Idaho Springs. 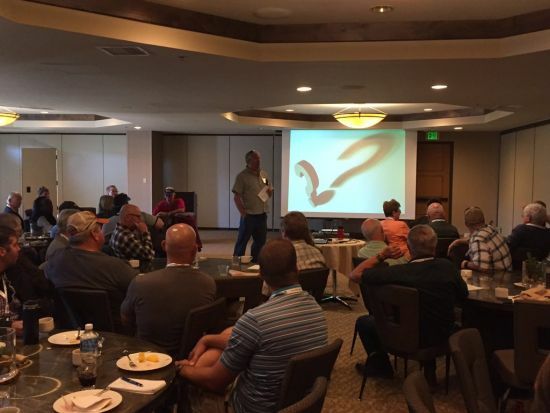 Day 3: Ray Weller and Rick Cables from Vail Resorts gave a snow making presentation at the hotel in Breckenridge. 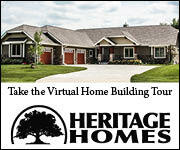 Weller noted that 80% of the snow made will runoff into surrounding streams or rivers. RRN/Ray Weller of Vail Resorts giving a presentation in Breckenridge. Before heading back to Nebraska, the tour stopped near Alma and Fairplay to inspect abandoned gold/silver-mining dredge. 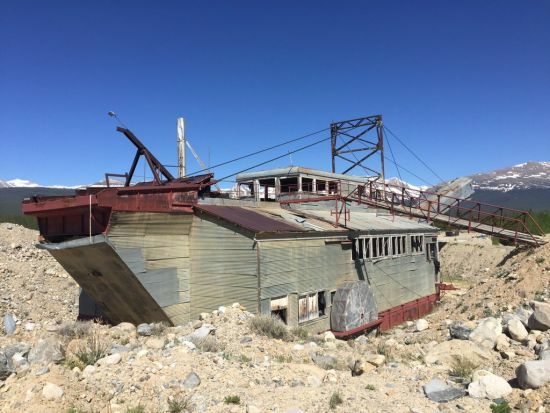 Gold was found in the Snowstorm Gulch in 1870 which led to the creation of the dredge “floating wash plant” that only ran for 16 months. RRN/Dredge “floating wash plant” in Snowstorm Placer Mine near Alma. 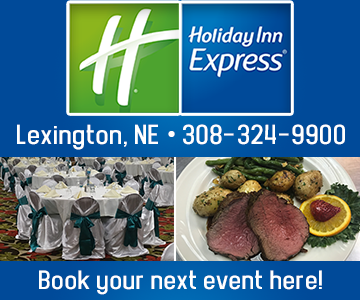 This years sponsors include: Central Nebraska Public Power &amp; Irrigation District, Institute of Agriculture and Natural Resources, LI-COR Biosciences, Lower Platte North Natural Resources District, Nebraska Public Power District, Nebraska Water Balance Alliance, Nebraska Water Center (part of the Robert B. Daugherty Water for Food Global Institute) and Robert B. Daugherty Water for Food Global Institute. 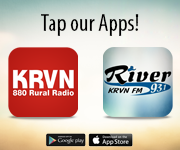 The Planning Committee consisted of: Tim Anderson, Central Nebraska Public Power &amp; Irrigation District; Jeff Buettner, Central Nebraska Public Power &amp; Irrigation District; Steve Ress, Nebraska Water Center; Troy Wineland, Colorado Division of Water Resources and Michael Jess, Consultant. 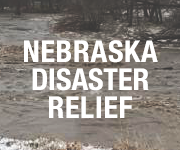 Logistical Support was provided by: Tricia Liedle, Nebraka Water Center and Holly Rahmann, Central Nebraska Public Power &amp; Irrigation District. Below are the full interviews with Bond, Rhoades, Nancy Comer a historian on the dredge and Ritchie.